Make a sound replacement for Dragon Ball: Advanced Adventure. Restore back the Opening from the Series "Makafushigi Adventure" in the intro. Use the restoring for US AND EUROPE versions. I don't like the fact that restoring patches are made for just one region. Now that you mention it, that's not the only song that got replaced, but also Mezase Tenkaichi (for the Martial Arts Tournament), and Romantic Ageru Yo (for the ending credits). It would be really nice if these were restored. If you wanted to rewrite the entire game yourself. But after AM2T I don't think anyone want to spend years of their life doing it. King Mike has a point. I mean it's hard to port SNES games into Genesis type games without the proper knowledge or know how. I mean certain games like Super Metroid are pretty impossible to port to Genesis. I can't help but wonder what the music would sound like on the Genesis's chip. But yeah this is a load of work. 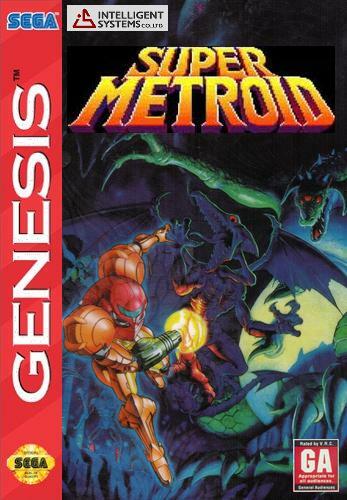 Speaking of Metroid, has anyone ever tried to make a Super Metroid hack with a Batman theme? I was discussing this with a friend of mine just recently, and I remembered this topic. I'm not even the biggest BatFan (I grew up watching the Adam West show, and that's mostly it), but I think with his ever-growing arsenal of bat-themed gadgets, the theme lends itself well to a Metroid hack. Super Metroid makes heavy use of the SNES's Mode 7 capabilities for the scaling and rotation of certain graphics. It wouldn't just be a ton of work for something that would probably be C&D'ed anyway--it'd have to lose a lot of graphical effects too. You can do scaling and rotation in software on MD (see MW4 for some large scaling for example), not sure everything can be done 1:1 without MCD though. A hack of either the Genesis or SNES versions of The Lion King that switches the music for the Elephant Graveyard and Be Prepared stages. It just seems weird to have a song not play on a stage named for it. You could just port in the music using MSU1, that's what I did to Mega Man X3 and Mega Man 7. From what I read, the Sega CD is technically an MSU-1 for Genesis. A patch for both The Legend of Zelda and Adventure of Link for NES which makes it so that whenever you save manually, that save does not count towards your death count in the Selection Screen, making it so that ONLY actual deaths/game overs are taken into account into that counter. I hate seeing that number rise up whenever I want to save. I was playing a little bit of Panic Restaurant, and I always caught myself pressing the B button to make the chef run fast, it'll be cool if someone can add that in. I'd love to see a hack of Umihara Kawase for the SNES that moves the HUD into the upper and lower parts of the screen. I've never seen any other game that has the HUD so close to the center like that and it looks awful, the game is fantastic, but I really want a fix for the HUD. It does add scaling and rotation features, but also some limitations which I'm not well read on. I know, it's like the HUD was designed for Game Gear (being that GG is like a SMS screen with only the center visible). A Metal Slug NES/GBC homebrew/port using the Neo Geo Pocket version as a base. A Final Fantasy VII SNES homebrew/hack. We have some Pictologica resources for the sprites. It could be good to hack Solbrain/Shatterhand. And make good level design. Not hard. And remove the super suit. It's too overpowered. I think that game has not good level design. Or at parts it's just bad and annoying. Also need to make design with having drones use in mind. Drones are amazing thing in that game but levels are not designed to make sense for interesting drones use. Page created in 0.419 seconds with 17 queries.